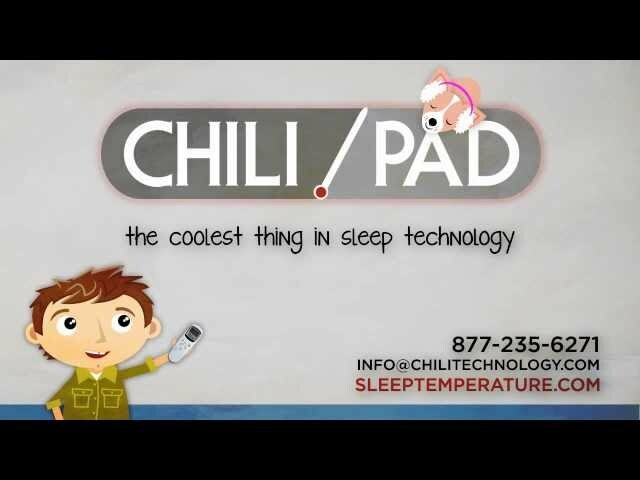 The ChiliPad Cube from longtime innovators Chili Technology is a unique bed heating and cooling system that uses a water-based system to actively and accurately regulate your bed temperature. ChiliPad helps you get to sleep faster and have deeper, more restorative sleep. It’s ideal if you’re a hot sleeper, dealing with warm summer nights or cold winters, or suffering from hot flashes, night sweats and the accompanying insomnia. The Cube operates on less than 80 watts of electricity (the same as an incandescent light bulb), making it an energy efficient alternative to cooling or heating your entire house. Here’s how the system works. You get a mattress pad that is made of a network of soft, medical-grade silicone microtubes that are woven into the pad and circulate water through it. The microtubes are designed with comfort in mind, made small enough so you don’t feel them while sleeping. The mattress pad is connected by a 96-inch cord to the Cube, which is the water-filled control unit. To set it up, simply place the Cube at the foot of your bed and place the mattress pad under your sheets using the large elastic straps on either end to hold it in place. Then turn the Cube on and the water inside will run through the connecting tube into the mattress pad’s microtubes. Lay down in the comfort of your own bed while you adjust the wireless remote control to accurately control the temperature of your mattress pad from a cool 55 degrees to a balmy 110 degrees Fahrenheit. 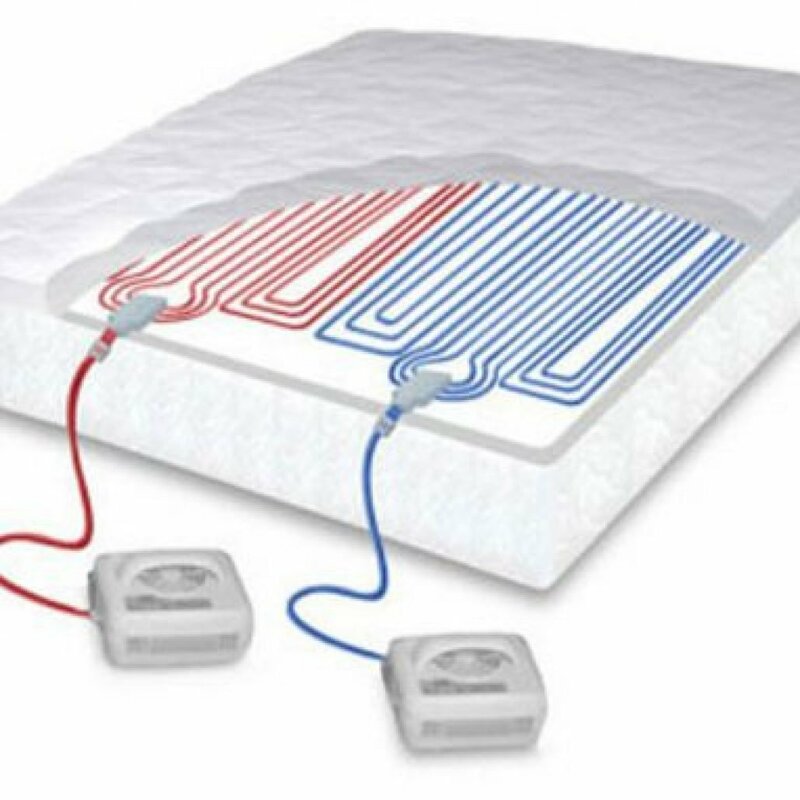 As an optional upgrade, you can purchase the Dual-Zone ChiliPAD, which consists of 2 Cubes, 2 tubes, 2 independent control units and a mattress pad that can be set with 2 independent zones. It’s perfect if you and your partner prefer different sleeping temperatures. 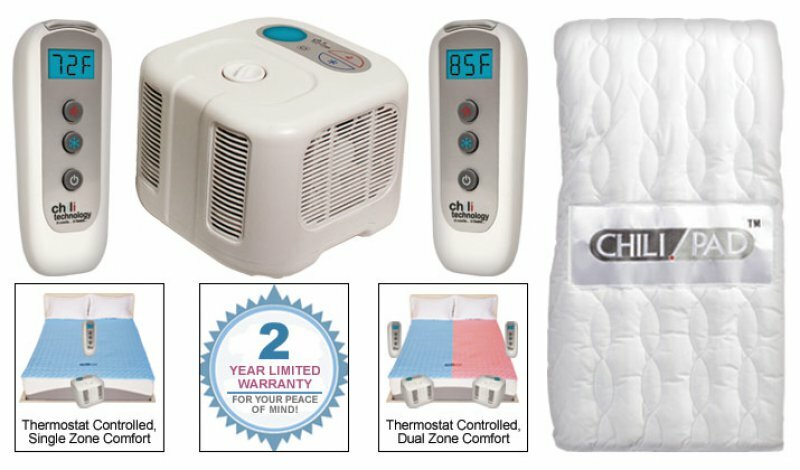 The ChiliPAD Cube bed cooler is a great way to beat scorching summer heat and cold winter nights. It saves money on your monthly electricity bill and the system can even be set on a timer if you just need it to help you get to sleep and don’t want it running all night. The mattress pad is made of high quality 150 thread count poly cotton and fits any standard or extra thick mattress size Twin XL, Full, Queen or King.